Floyd Mayweather has confirmed that he still intends to retire from Boxing when his six-fight deal with Showtime ends, this will give Floyd two more fights after this weekend’s rematch with Marcos Maidana in Las Vegas before retiring in 2015. Floyd Mayweather has said all along that once his contract with Showtime runs out, that he would retire from the sport. Could we see the long-awaited Manny Pacquiao bout in the works? Should Mayweather’s career be coming to an end, what fight fans would want to see is a fight against Pacquiao. Should he retire without fighting the Filipino, would he be known as the one that ducked Pacquiao? More importantly I could see Mayweather wanting to take on Pacman before he walks away, a defeat against Pacquiao would let the undefeated champion go out as the undisputed greatest fighter of his time. “I have only got two more fights after this,” said Mayweather, who is halfway through a six-fight contract with American TV network Showtime. “As of right now my focus is on Maidana. I can’t focus on the two fights after this. 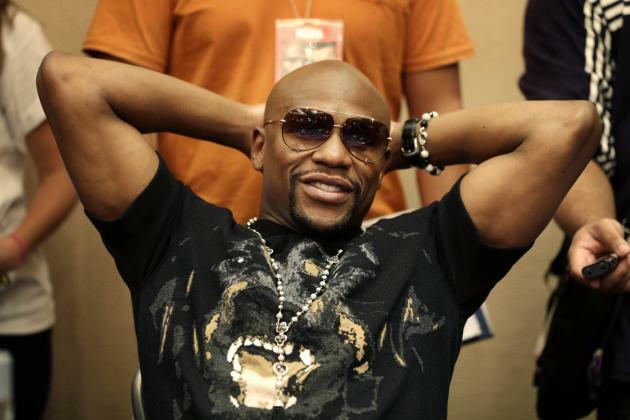 Mayweather plans on helping promote his promotional company when he retires. Should Mayweather win his remaining fights, he will be level with heavyweight champion Rocky Marciano who retired undefeated with a 49-0 record to his name, could one more fight tempt Floyd? “After those fights I just want to build the Mayweather Promotions brand. I have been in this sport my whole life and understand the business. Mayweather knows that the older you get, the longer your body takes to recover between fights, the 37-year-old hasn’t shown any signs of slowing up as of yet. “As you get older, you get wiser, smarter. You no longer grow physically but you do mentally. When I was younger I would go to the gym, every day, even as a professional. Floyd Mayweather has a record of 46-0 and for him to keep his undefeated record intact he will need to be on top of his game against Maidana this Saturday night, he plans on making adjustments to whatever Maidana will bring this weekend. “When I am in the ring I know what I have to do. Facing so many different styles throughout the years, making adjustments is second nature. [My legs] looked good in the first fight. When a guy like that is extremely dirty I have to take my time,” he said. “I am capable of changing. I’m faster this camp, a lot stronger, feel a lot better. We will have to see how the fight plays out. I am sure he is in good condition and we’ll see what he brings.